Alongside upgrading your switchboard (see our blog post HERE), it is beneficial to review your current mains supply to ascertain whether it is adequately servicing your home. Mains cables go from your switchboard to the incoming power supply point, either to aerial power lines in the street or to an underground pit near the street. 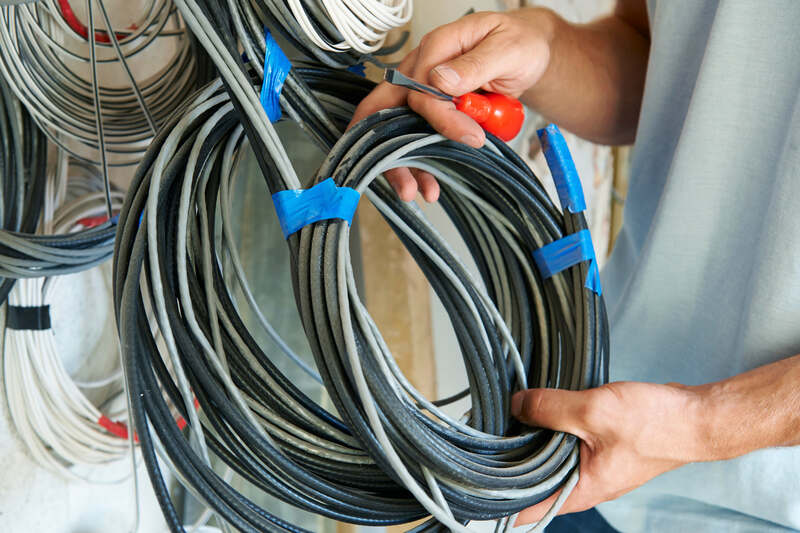 Most new homes are wired with 16mm mains cable or larger, whereas many older homes will only have 6mm mains cable. This means an older home’s mains cabling could be less than half as capable as what the requirements of modern living demands. Over time additional power points, lighting points and appliances are added to most homes which may exceed the capabilities of the old mains cable. This can cause issues such as electrical short-circuits and underpowered appliances. To determine whether you need a mains update, a licenced electrician such as Captain Electric can calculate the maximum demand according to the wiring rules Australian Standards 3000. Once the maximum demand is calculated the consumer mains supply cable can be determined. If the consumer mains supply is not capable of carrying the maximum demand it will need to be upgraded. If you believe your appliances may not be running at full capacity then a mains cable review is a good place to start. Don’t hesitate to call us on 1300 445 996 or make contact via our website www.captainelectric.com.au (REC 18185) for a free appraisal. Dedicated to providing quality work on time and on budget, we strive to go Above and Beyond to deliver a premium level of service for all your electrical requirements.